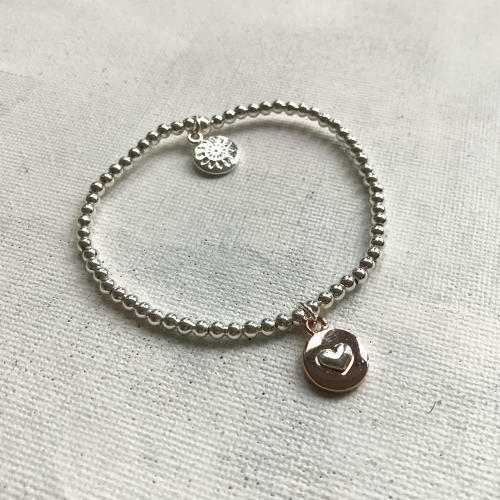 A dainty heart charm bracelet on jewellers elastic for an easy fit. Silver plated. One size fits most.